There’s always a bittersweet tug in my heart that comes with the end of another year. I say good riddance to painful experiences, so long to happy ones too, and tuck away the fond memories made between January and December, hoping I’ll have time down the road to visit them again. On the eve of 2015, I wish you all peace, health and happiness. May the new year find you doing what brings you joy, spending time with people you love. Thank you for your support, friendship and good wishes throughout the year. Be careful out there tonight. We were in an over-crowded TGI Friday’s at a midwest airport, waiting for the snow to stop so we could board our connecting flight and escape for awhile. Our destination? Gorgeous Salt Lake City, Utah, for some spring skiing at Park City. We were giddy and didn’t mind the wait. We shared a secret – just the two of us – and no delay to our plans could bring us down. Steve and I were fortunate enough to have found seats at a small table. We placed our order and when the waitress left, fighting through the crowd to reach the kitchen, that’s when we saw her. She was an elderly woman, standing at the door alone, gazing about the restaurant in search of a place to rest. Steve stood and invited her to sit at the only spare seat at our table. She accepted with a warm smile. My husband and I looked at each other. He raised his eyebrows to me in question. Can I tell her? I smiled and nodded, listening with cautious joy as Steve told Alice that we were expecting our first child. We had told no one yet. In fact, we’d only found out ourselves the previous day. She clapped her hands in prayer and smiled wide. We talked into the night. I cannot recall the details of our discussions, but I’ll never forget Alice’s reaction to our news, her brief respite from mourning her sister, and how it lifted her spirits, if only for a while. Eventually our flight was announced over the loudspeaker. 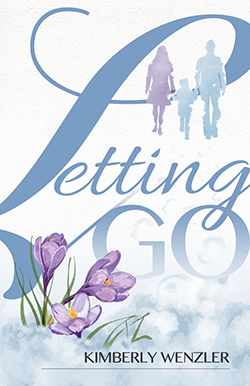 We exchanged addresses and at her urging, promised Alice that we’d send news about the baby. We reluctantly took our leave and wished her a safe journey. We met Alice in March of 1998. I sent a birth announcement of our son, Zachary, just days after he arrived in November. Alice wrote back quickly and signed her letter: Love, Alice, Zachary’s first friend. Each year at Christmas, we sent Alice a letter with a detailed update on Zachary and soon after, his baby brother, Alex. Without fail, she sent a long letter back, with news of her family and activities; her granddaughter’s wedding, the births of her great grandchildren, poetry classes taken near her assisted living community. She included pictures as well – one of her girls at her granddaughter’s wedding shower and one of her great-granddaughter’s first smile. We felt as if we were extended family, sharing her news. Every letter we received began the same: Your card and note is something I look forward to with joy at Christmas... Our thoughts exactly. Every letter was signed Love, Alice, Zach’s first friend. In 2009, she posed the ‘big question’: Have you yet told Zach you met his first friend in a bar? The last letter we received was in 2011. In December, 2012, I walked to the mailbox every day hoping to find an envelope with her familiar penmanship, and every day I closed the box disappointed. I sent another card and letter last year, hoping…and performed the same searching ritual with the same disappointing results. We won’t look for a letter this year. We know why Alice doesn’t send one anymore. But at Christmastime especially, amid busy holiday preparations, we will take the time to think of her and appreciate how truly wonderful chance meetings can be. I’ll continue to write to Alice because it’s something I’ve done for fourteen years, but I’ll keep the letters with me, sure that she knows she’s in our hearts. We are grateful for what she brought to us, for the years of correspondence and smiles, and we will always remember with love, Zach’s first friend. I’m so excited! I’ve been following a blogger/book reviewer for several months. Her reviews are witty, well-written and I love her blog. Today she published her review of Both Sides of Love and I’m thrilled to share it with you. If you want to know what romance novels to bring to the beach (or leave home), or just want to have a good laugh while building up your TBR list, this is the site for you: http://www.romance4thebeach.wordpress.com. I promise, you’ll enjoy it. Both Sides of Love by Kimberly Wenzler. It’s Thanksgiving again. Went quick, didn’t it? 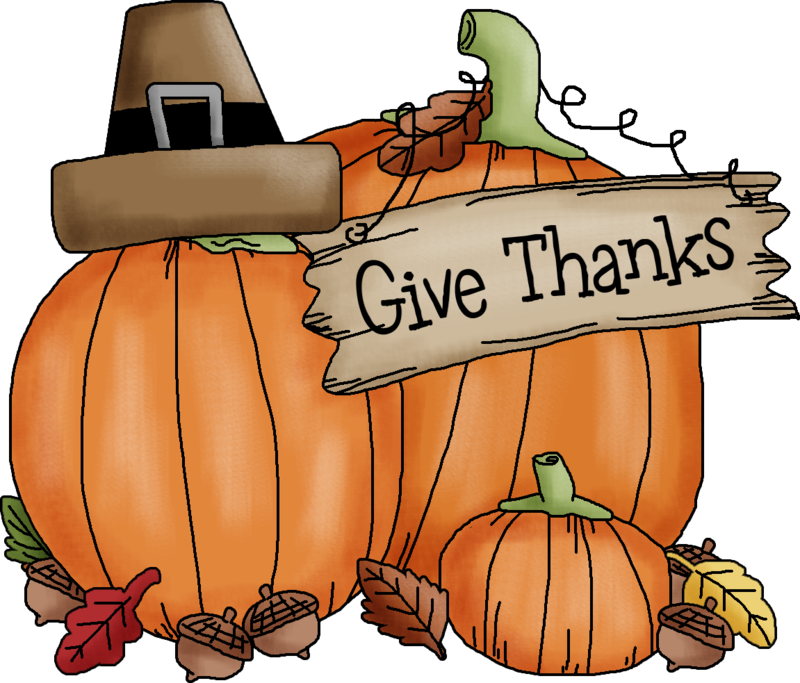 Feels like only yesterday, I wrote my first Giving Thanks post. And here we are, at the end of another year, the beginning of another hectic holiday season and the perfect time to extend my gratitude for your continued support. Thank you. For those of us with much to be thankful for, there is a whole day devoted to appreciating what we have. One whole day. So, that’s exactly what I’m going to do. I will push aside the nagging thought that there are only 4 Fridays before Christmas, turn off the news and turn on the NYC Macy’s Day Parade. I will embrace the time I have with my family, remember, with love, those who are no longer with us, and count my blessings for the friends in my life and the abundant food on the table – even the brussel sprouts in that sauce. Why pray-tell is that always served? There will be plenty of time for the craziness. Beginning on Friday. My son had an English assignment recently, where he had to memorize and recite a short poem or excerpt by a poet or author. He chose an excerpt from a speech delivered by Teddy Roosevelt, in 1910. The full 35-page speech is called ‘Citizenship in a Republic’. The excerpt, referred to as ‘The Man In The Arena’, has since been quoted by President Nixon, Nelson Mandela and others facing events that required courage, skill and tenacity. Written over one hundred years ago, I believe it’s relevance is timeless. In essence, this brilliant, motivational man believed that true character and success stemmed from discipline and hard work. I hope my son, who memorized every word, carries this message with him. And perhaps, like me, you’ll find some inspiration too. It is not the critic who counts; not the man who points out how the strong man stumbled, or where the doer of deeds could have done them better. The credit belongs to the man who is actually in the arena; whose face is marred by dust and sweat and blood; who strives valiantly; who errs and comes short again and again; because there is no effort without error and shortcoming; but who does actually strive to do the deeds; who knows the great enthusiasms, the great devotions, and spends himself in a worthy cause; who at best knows in the end the triumph of high achievement; and who at the worst, if he fails, at least he fails while daring greatly, so that his place shall never be with those cold and timid souls who know neither victory or defeat. It’s a loaded question high school students face regularly. Myself, I didn’t have an answer in high school. Four years of college, a summer stint through Europe and a decade in Sales couldn’t answer the question. It wasn’t until I got married, had two babies, and decided to stay home to focus on them that my love of writing surfaced. The rear of the school bus was still in view when I decided to put pen to paper. I wrote some articles. I wrote a manuscript. Then another. And another. At thirty-seven, I discovered I had a passion for something. I was finally able to answer that elusive question: What do you want to do with your life? The feeling was (and still is) euphoric. Though I can’t quite pay the mortgage – or fill my gas tank- I feel fulfilled. I’m happy. My regret? Not starting sooner. I think the question that needs to be asked is: What do you love to do? If someone would have posed that question to me, perhaps I would have reached this conclusion earlier and avoided years of career-based turmoil. He is less than enthusiastic about his classes, getting through them with minimal effort. I’ve become that nagging mom, reminding him daily: “Pick up your grades or you won’t get into a good college.” He politely stares at me, waiting for my mouth to stop moving so he can resume his focus on his IPhone. He loves hockey. He plays on the school team. And he loves music. He’s in the school marching band and jazz band. Do you know what he does with that phone? He watches marching bands from all over the country perform. At dinner last night, he put down his fork and with a wide smile said, “I have band tomorrow.” My husband’s gaze met mine over the chicken. I shrugged. Okay, so it would be nice if his eyes shined when he talked about his math or science class, but we have little control. You can’t make someone love something. It’s a part of who they are. For his upcoming sixteenth birthday, he asked for a tuba. That’s right. You heard me. Tuba. Like every parent, I want my children to earn a good living so they can have choices and be able to give their own children choices. But more than that, I want them to be happy. Earning a good living and being happy can be mutually exclusive. Maybe I needed to travel and work at jobs I detested before I was ready to express myself through writing. Who knows? If I hadn’t, I wouldn’t have met my uber-supportive husband, so I can’t help but be thankful for my past. Life is short. Why not be truly satisfied with how we spend our time? Most of us spend a majority of our waking hours at work, don’t we? Is that realistic? Perhaps not…but a mother can dream. Let’s ask the right questions, such as: What kind of future is out there for a hockey-playing, tuba-touting young man? 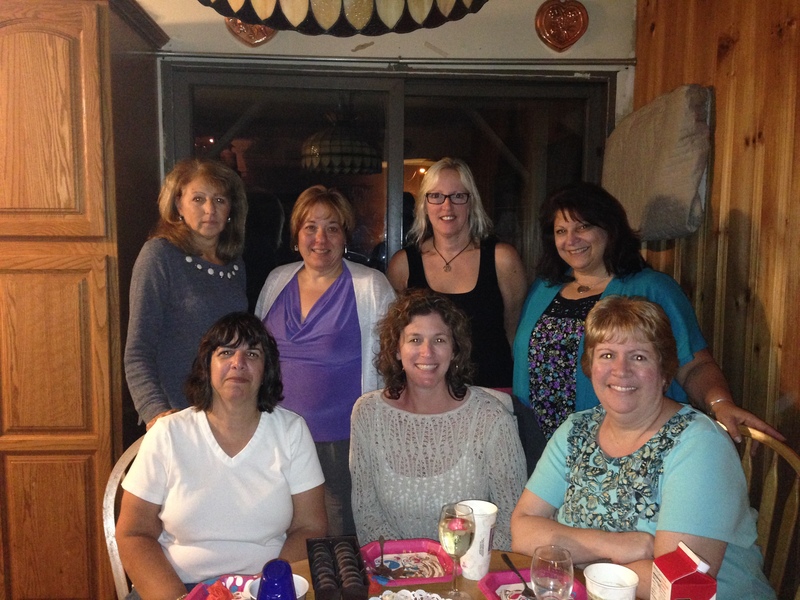 I wanted to share some photos of my latest visits with three wonderful book clubs – friendly, funny women who have welcomed my into their homes, into their tightly-knit groups and spent hours making me feel like one of their own. In September, I enjoyed a luncheon at this meeting. The average age here is 75+. But don’t let the number fool you. After an enjoyable discussion about Both Sides of Love, I listened – rapt – as all of the women took out their calendars and planned their next outings – rattling off various dates and plans until my head spun. There was a Broadway show the following week, Italian-American night dinner, Canasta, party at Eileen’s, dancing, movies, lunches, and on and on. I left feeling very optimistic about my Golden years. Here are six women who manage to discuss various topics amid laughter. They’re a small group, but they’re loud and they know how to have a good time. What separates this group from the rest? They incorporate the food mentioned in every book into their meetings. When trying to remember past books, they’ll ask Was that the one with the cream puffs or the apple pie? For Both Sides of Love, they brought out everything Beth and Noreen ate, including crumb cake, chips, Mallomars and – wait for it- Dutch Chocolate ice cream! Blew my mind. This was my most recent gathering below and my last one scheduled. 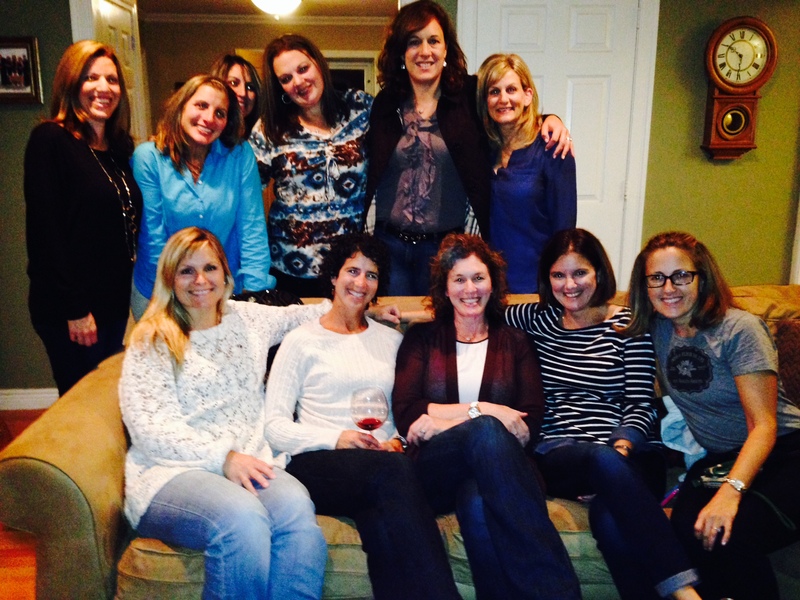 These women have been together for twelve years and it showed. 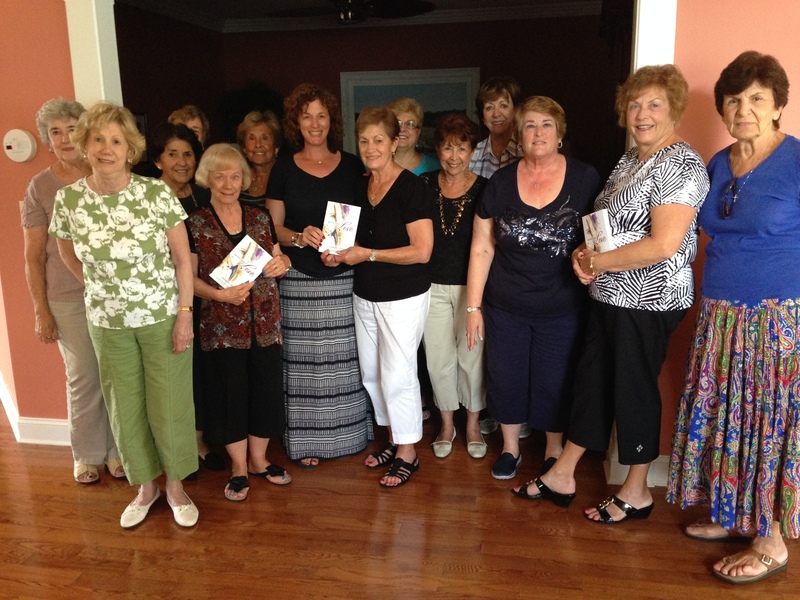 I have been invited to six book club meetings since I published in May. Six. This one here, like the others, made me feel welcome immediately. They are open, intelligent and friendly and – as with the rest – I loved my time with them. I appreciated their questions, all so similar, which shows me that women love love. We love to talk to each other. We love to learn and discuss and connect. Though each group brought a unique personality to their meetings – the common thread weaving through every one was easy conversation, quick, unadulterated laughter and a bond that was evident from the moment the night began to the last hug goodbye.